"As I mentioned earlier, my father had a tremendous influence on me as I was growing up. I went on many business trips with him as he was starting manufacturing plants all around India. After a few years had passed, we would go back and visit these sites. The factories were doing well, jobs had been created, communities were thriving. All this came out of almost nothing originally, so I saw firsthand the extraordinary positive impact that business can have on society." 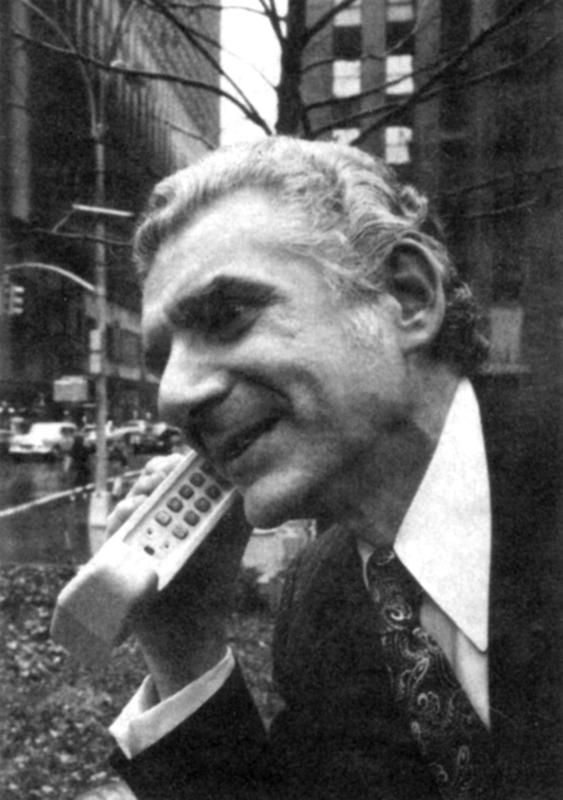 Martin Cooper is the man who led the movement at Motorola to make cellular communication personal and mobile. Thanks to the efforts he championed in 1970s and 1980s - culminating in world's first commercial handheld cellphone - an entire industry has been formed and billions of people can remain connected today, no matter where they go. Martin Cooper served in the Navy during the Korean conflict. In 1950, he received a bachelor's degree in electrical engineering from Illinois Institute of Technology (IIT). In 1954, he was hired by Motorola, and attended classes and studied at night. He went on to earn a master's degree in electrical engineering from IIT in 1957 and taught night school classes at the university. He is now a life trustee of IIT. Martin Cooper has received various awards including Wharton Infosys Business Transformation Award. Cooper was mentioned in Red Herring's Top ten Entrepreneurs of 2000. In 2009, along with Raymond Tomlinson, Cooper received the Prince of Asturias Award for scientific and technical research. In February 2010, Cooper was elected to the National Academy of Engineering. Cooper and his wife Arlene Harris founded Dyna in 1987, (www.dynallc.com) to provide a home base for their various development and support acitivities incubating several businesses including GreatCall-Jitterbug, SOS Wireless, Accessible Wireless, ArrayComm, and Subscriber Computing. The Jitterbug was created for the use of elderly folk that can't hear as well. You can follow him at twitter at MartyMobile. app2us: Hello Mr. Cooper, it is our great honor to get an opportunity to talk to you. Martin Cooper: It's a privilege to appear on a site that provides a vital service to so many students. app2us: What from your early life, education and experiences prepared you to be a leader of the team that invented the cellphone? Mr. Cooper: I have known, since my first recollections, that I was going to be an engineer. I continue to have an intense desire to understand how everything works and an equally avid drive to figure out how things should work better. I was fortunate enough to have the U.S. Navy teach me the fundamentals of leadership and to have joined a superb management team at Motorola where I had many mentors who shaped me and my career. app2us: What are the fundamental differences between research in industry vs research at universities? Mr. Cooper: The best way to get people to think out-of-the-box is to not create the box in the first place. Companies have to prioritize short term competitive positions if they are to survive. Companies therefore become very effective at developing next-generation products in their field of interest but universities can be much better at reaching out a generation or two beyond that. And universities are the only entities left who can do pure research - seeking to understand the behavior of materials, processes, and systems, without regard to eventual practical application. app2us: How did you get the original idea of cellphones? Mr. Cooper: I lived in a culture at Motorola that treated "personal" communications almost as a religion. We saw the wire that constrained the telephone as an unacceptable restraint to the freedom to be anywhere while communicating. When AT&T announced that their creation of cellular telephony was to be implemented with "car telephones", I had to do something to stop them. The first handheld cell phone was our way of demonstrating that being trapped in a car was no different than being chained to ones desk by a copper wire. Historic photo: appeared in Business week magazine the same week as the first cell phone call occurred on April 3, 1973. The phone in the picture is the first cell phone. app2us: What did you say during the first call from a cellphone? Mr. Cooper: I made the first public handheld call on a New York street to my counterpart at AT&T who headed the engineering of their cell phone offering. I told him I was calling him from a cell phone, but a REAL cellphone - a portable handheld phone. app2us: You are an alumnus and a life trustee of IIT. How was your experience at IIT as a student, and what are your goals as a trustee? Mr. Cooper: IIT was, and is, a superb engineering school for those that want a real-world education (IIT also has a fine business school, law school, and schools of design and architecture). The number of its graduates who become CEOs is a testament to the quality of that viewpoint. But, aside from assuring the financial health of our institution, we want to be sure that the education the university offers is keeping pace with the changing environment of technology creation. We are offering more multi-disciplinary courses, as an example. We are also urging our faculty and students to focus on relevant research areas like the smart grid. app2us: Many prospective applicants to US universities are confused about the importance of rankings of universities. How should students balance their goal of quality education at a top ranked university and the practical aspects of affordability of education which may lead them to lower ranked universities. Mr. Cooper: The issue is more than just affordability. Not everyone has the talent or desire to do basic research, to have a career in academia. And it's not necessary to travel long distances to find a superb education that fits ones needs. What's important is matching up ones interests with the educational philosophy of the university. That's why I emphasized IIT's track record of successful company executives. We have done very well with inventors as well. app2us: Please tell us something about Jitterbug. Mr. Cooper: My wife, Arlene Harris, and I have always felt that the large wireless service providers were doing an excellent job at providing the wireless "pipe" but that they were focused on serving mass markets. In doing so, they were leaving some important markets behind. Arlene developed a concept that was optimized on providing an excellent cellphone experience for seniors and technophobes. This service would then evolve into a platform for a wide variety of applications all aimed at making the lives of our constituency better. The Jitterbug started with a custom designed cellphone that Arlene designed and that Samsung beautifully executed with emphasis on simplicity, affordability and intuitive operation. On top of this services were added to make the cellphone more useful to our constituency. Our intent is that new applications and services will continue to be added. app2us: What cell phone(s) have you used in 2010? Mr. Cooper: I started with an iPhone, which I gave to my grandson so that I could try out the Android platform. I now use a Motorola Droid X but I have used virtually every brand at one time or another. app2us: What are your thoughts on cellphones in 2020? Mr. Cooper: There will be two revolutions that will evolve out of the initial cellular revolution. The first is wireless health. The ability to monitor health issues before they evolve into diseases will change the mission of the medical profession from treating diseases to preventing them. People will be healthier and we'll spend much less on keeping them that way. The other revolution will be the application of social networking to the enterprise, to business. The potential gains in productivity when this application becomes widespread will be enormous. We will, when this happens, REALLY start thinking out-of-the-box. The whole idea of the corporate organization chart will disappear and be replaced by a variety of collaboration processes and tools. These revolutions are beginning now but will take 20 or 30 years to mature. app2us: Your message for those who would like to invent something cool one day. Mr. Cooper: First, prepare yourself! The invention is a tiny part of the process of bringing something to market. A successful inventor has to understand the entire process even if she doesn't manage every part of it. Second, reach out, do not fear failure. Perseverance and self confidence are requisites to the creative process. app2us: Mr. Cooper, thank you for your insightful answers, we are very thankful for sharing your thoughts with us. May this inspire thousands of young minds. Mr. Cooper: Those "young minds" are my favorite audience. I hope they will share my enthusiasm and my optimism about our future and, most importantly, how they can contribute to making that future better.